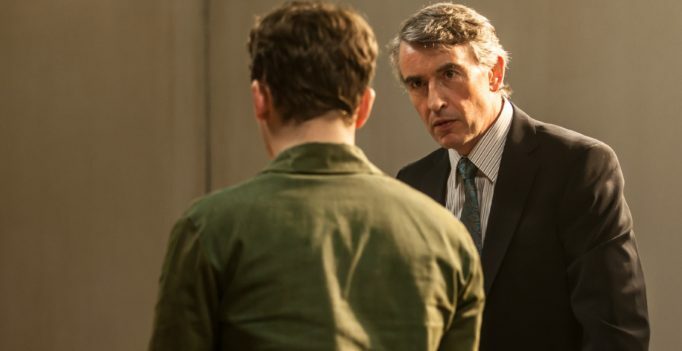 Shepherds and Butchers is a well-executed film about lawyer Johan Webber (Steve Coogan) who is determined to search for psychological motives and an underlying political meaning when he’s given a difficult case. Prison guard Leon (Garion Dowds), who has assisted many executions, finds himself in hot water when he is held responsible for multiple murders. While the case seems open-and-shut, Webber is convinced the guard’s gruelling experience has pushed the alleged felon to an extreme, traumatic state. The audience watches the trial unfold – sometimes through flashbacks – as Webber interrogates Leon on the stand and builds his case outside the courtroom. Even though Leon’s mind is filled with relentless and graphic memories that are hard to watch, Shepherds and Butchers maintains our interest. 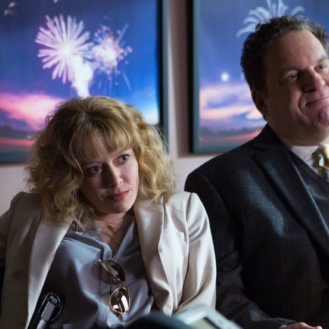 Coogan and Dowds offer passionate performances as director Schmitz sticks to a safe and slow yet refined formula that only works against the story when the filmmaker believes he’s uncovering new insight about the death penalty. Shepherds and Butchers doesn’t offer any surprises, but it’s a good watch.